We evaluated 13 well-known hearing aid brands, and after careful review identified the 6 best hearing aid companies for 2019. Widex hearing aids are known for offering unrivaled high definition sound in complex sound environments, helping listeners to enjoy hearing more than other brands. Widex wins our Best Sound award. Embrace Hearing sells custom programmed, high-performance hearing aids online for $699 to $949. Its customer service is available 24/7. Eargo is made up of ENT surgeons and hearing professionals who have developed comfortable and highly functional hearing aids. Eargo’s hearing aids are available without a prescription and at an affordable price, meaning more people can experience improved hearing. ZipHearing makes it easy for hearing aid shoppers to price and purchase high-quality products online from the top manufacturers, then service them with a large network of local audiologists and hearing aid professionals. ListenClear offers a good combination of affordability and quality for customers across the hearing loss spectrum. ListenClear earns our Best Overall award for dramatically improving the accessibility of hearing aids. Oticon is a technological innovator, and the company’s high-quality products – though expensive – are the best of the best. With retail facilities across the U.S., there is likely a Miracle-Ear provider near you. We evaluated 13 well-known hearing aid brands, and after careful review identified the 5 best hearing aid companies in 2019. To draw our conclusions for the best options, we checked government data, analyzed consumer reviews, consulted with seniors & checked with experts in the industry. While many of the companies we reviewed might be good choices, we found six companies that stood out as the best: ListenClear (Best Overall), Embrace Hearing (Easiest Online Purchase), ZipHearing (Best Online), Widex (Best Sound), Oticon (Best Quality), Miracle-Ear (Best Value). In this guide, we’ll provide tips for making a wise hearing aid purchase, examine the best companies in the industry and answer some frequently asked questions. If you’ve been diagnosed with hearing loss and have been told that you need hearing aids, take heart! 48 million Americans are dealing with hearing loss, and you have options. But how do you know what choice to make when selecting a hearing aid? 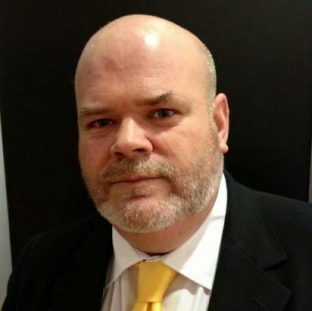 Geoffrey Cooling is an Irish hearing aid blogger and the author of the book The Little book of Hearing Aids which is an in-depth hearing aid advice book for consumers. He has been involved with the hearing aid industry for over ten years. While hearing is invaluable, investing in your hearing has a definite cost. A White House hearing aid report reveals the average cost of one hearing aid is a staggering $2,300. Need two? You’re looking at $4,600. It is important that you understand the background to the price and exactly what is on offer for the money. What you might not realize is that figure generally includes not only the cost of the hearing aid but also all of the ongoing office visits and services supplied by the audiologist or ENT (Ear Nost & Throat) plus repairs covered under warranty. Before you buy, it’s important to find out what are the bundled services that come with the price tag, because unlike diamonds, hearing aids aren’t forever – they last anything from seven to 10 years. Many people focus on price, because choosing based on price seems easy, however, it rarely tells the whole story. Inexpensive – but subpar – online hearing aids can actually damage your ears by blasting incredibly loud sounds into your ear. Likewise, mainstream hearing aids with subpar service may not deliver what you need for as long as you need it. Don’t let your hearing pay the price for a small cost reduction. All hearing aids aren’t alike. It doesn’t matter how much a hearing aid costs. If it doesn’t work for you, it’s worthless. And it turns out hearing aids aren’t all created equal. The biggest measurement of quality in a hearing aid is consistency. After all, you want to consistently hear without annoying sound effects like beeping or excess background noise. Also, depending on your specific hearing deficiencies, you will need a hearing aid that can be tuned to meet your specific needs. The best hearing aids will allow greater amounts of fidelity with fine tuning. In general, most mainstream hearing aid brands and providers offer hearing aids in four technology level tiers. They are basic or entry level, then there are two mid-level offerings, lower and upper, then there is a premium level. Understanding hearing aid technology levels and which one might be right for you is important. In essence, each technology level guarantees better hearing in varying sound environments. Basically, the more active your life, the better the technology you should consider. If you have a sedentary lifestyle, with basic needs such as listening to the TV, radio and the ability to converse easily with small groups, well then basic hearing aids are ideal for you. However, if your lifestyle needs are a little bit more complex than that, one of the mid-level tiers is something you should consider. If you want the best possible hearing in lots of different and complex sound environments because that is what your lifestyle demands, you should consider the premium level. Speaking to a good professional will allow you to explore your needs and the technology that might match them. Ongoing maintenance is needed to keep your hearing aids functional and programmed to your needs. Your doctor may be available to support your hearing aids, but it’s important to select a hearing aid company that stands by their product and offers additional customer support in the form of a warranty or guarantee and ongoing service. You will need ongoing service to ensure that your hearing aids are delivering what you need to hear better. During the life of your hearing aids (again, seven to ten years), your hearing may change, so the hearing aids may need to be re-programmed. Ongoing service ensures this will happen. It is also important that you understand you need to follow your own ongoing cleaning and care routine. It differs from hearing aid type to hearing aid type but you need to do it on a daily basis. Whether you prefer shopping online or getting behind the wheel to pick out your custom hearing aids, our selected companies all offer unparalleled support (e.g. 24/7 customer support via a toll-free phone number or online assistance, or thousands of office locations for appointments). It’s a big decision to invest in hearing aids and just like with any investment, you should be able to easily make contact with a company representative to go over any questions or issues. If you’ve finally decided you’re ready to buy hearing aids, making an purchase is the next step. To help scrutinize the options, we reviewed government data, analyzed consumer reviews, consulted with seniors and talked to experts in the industry. We began our search with 13 well-known hearing aid companies. These companies produce a spectrum of hearing aids including budget-friendly options ($500+) to hearing aids that cost several thousand dollars each. 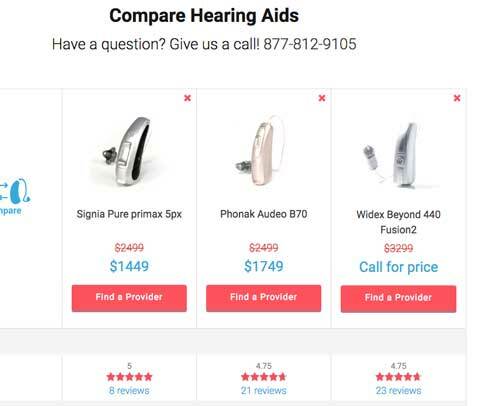 We scrutinized these hearing aid companies based on our expert-guided buyer criteria in three categories: price, quality, and level of support. Along the way, we checked with industry expert Lise Hamlin, Director of Public Policy for the Hearing Loss Association of America. Only companies respected by industry experts were considered. own label of hearing aids online staff to support buyers and more. After our evaluation, we selected the six best hearing aid companies: ListenClear, Embrace Hearing, ZipHearing, Widex, Oticon, and Miracle-Ear. Each of these companies were good picks, and also stood out in a unique way. Widex is known in the hearing aid community as the brand that helps provide the most clear and high quality sounds for customers. The brand has been able to create this high-quality technology with precision tuning and rigorous testing. Widex hearing aids can help the wearer hear the intended sound – and reduce noise. One of the most common complaints for hearing aids is when the aid amplifies background noises rather than the intended source of sound. It would be frustrating, for example, if the aid didn’t help discriminate between a nearby television and a loved one in conversation. For those interested in traveling or spending time outdoors, Widex also has a reputation for helping suppress wind noise. Like other top hearing aid brands, these compact aids are very sophisticated. Their flagship products include the Evoke, which syncs with smartphones, and the Custom which is an in-ear hearing aid fitted to your ear canal. 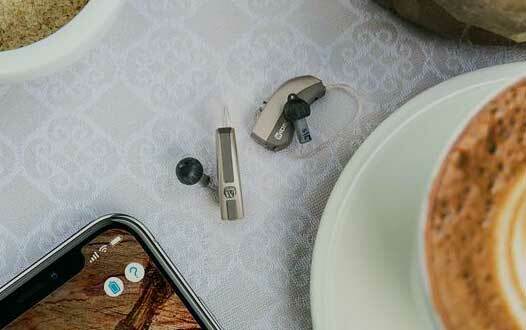 Other Widex hearing aids include the Dream: a hearing aid featuring true-to-life sound and the Super: a very small aid providing up to three weeks of battery life. Price: Prices vary depending on the model you purchase, but are generally around $750 to $2,400. Quality: Widex hearing aids are known for delivering a wide range of sounds in complex hearing environments. Support: Widex is solid in hearing aid centers and audiology practices across the U.S., and their products are backed by a no obligation trial. To get started with a no obligation trial for Widex hearing aids and to experience the Widex difference, visit Widex online. Read our comprehensive Widex review. Embrace took the award for Easiest Online Purchasing becaue their online ordering process is three easy steps. To get started, email your hearing test results to Embrace Hearing and you’ll recieve a recommendation within a few hours. Next, order your hearing aids online or by calling their toll-free number. Finally, you’ll recieve your custom hearing aids with five to seven business days. Embrace Hearing hearing aids come with a 45-day trial period. Hearing aid models include receiver in canal (RIC) and completely in canal (CIC) aids. Embrace Hearing developed Speechbeam technology which automatically adjusts your hearing aids to pinpoint and isolate conversations all around you. It also reduces background noise automatically. Price: Embrace hearing aids cost $699 for the H-300 mode and $949 for the C-650 and H-700 models. Payment options include all major credit cards, PayPal and financing with Affirm or CareCredit. Quality: Embrace Hearing hearing aids offer custom options including their Speechbeam technology, telecoils, Bluetooth, wind block and directional microphones. Support: Embrace Hearing offers a two-year warranty on the H-300 and a three-year warranty on both the C-650 and H-700 models. To learn more or start your 45-day trial, call 855-278-3108 or visit our full Embrace Hearing review. We chose ListenClear hearing aids as best overall for their desirable combination of affordability and quality. Millions of adults suffer from hearing loss, though many never actually get the hearing aids they need. In light of this, ListenClear is making hearing aids accessible to all with reasonable prices – and is removing the typical medical care barriers to access. Depending on your preferences, ListenClear offers three products, the ListenClear Pro, ListenClear Elite & ListenClear ITE (In-the-Ear). The ListenClear Pro, the company’s most affordable option, can be fitted to the user’s left or right ear and comes in a variety of colors. The ListenClear Elite offers the same features as the Pro model, with the addition of an inconspicuous remote that can adjust the devices. The ITE model is best for individuals who want to most benefits of a hearing aid without the external receiver. Price: ListenClear’s products are in-reach for most consumers because they are sold directly to consumers without the expensive fitting, service, battery and other costs bundled in by audiologists. Instead, the products are sold directly to consumers and start below $1,000. Quality: All ListenClear devices offer high definition sound and can help to remedy mild to moderate hearing loss. The ListenClear elite was design to treat mild to severe hearing loss. Support: ListenClear backs their products with a one-year warranty to cover the unit’s materials and workmanship. ListenClear also offers extendible warranties that can cover loss due to theft, physical damage or other types of losses. 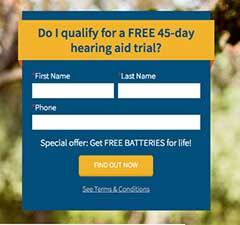 Customers who are interested in exploring their options with ListenClear should take advantage of the company’s free 45-day trial. To get started, call (888) 965-1265 or request a free trial online. Read our comprehensive ListenClear review. ZipHearing is a large online hearing aid retailer, frequently offering deep discounts on name brand hearing aids from leading manufacturers like Phonak and Starkey. What makes ZipHearing stand out from other retailers is the way it bundles the wide selection and affordable pricing of internet shopping with the helpful (and necessary) support of a local hearing aid provider. In other words, when you need new batteries, adjustments or other service, you can visit a local audiology or hearing aid clinic – generally without additional cost to you. The way ZipHearing works is simple. First, you either call ZipHearing (a request a call back), and a hearing aid coordinator will put you in contact with the local hearing aid provider. Next, that provider will conduct a screening (if necessary), then fit and provide your hearing aids. So what makes ZipHearing a top pick? Our favorte part of ZipHearing is the way the company makes it easy to sort, filter and compare hearing aids to find the best fit for you. Price: Working with ZipHearing works like a free discount prescription program – it locks in savings – sometimes as much as 30%. Prices range from $99 to $2,600 per aid depending on the type of hearing aid you choose. If you aren’t happy with your choice, ZipHearing offers a 45-day risk-free trial. Quality: ZipHearing has earned an 9.7 out of 10 stars on Trustpilot, and has the support network of the best manufacturers and local hearing aid providers. Support: If you’re an online shopper then you’re going to love how ZipHearing works. The company takes the best of online shopping and pairs it with the level of care and support offered by a local provider. That means if you need repairs or maintenance, you can stop by a local hearing aid provider and the support is bundled into your purchase with ZipHearing. To get started, give them a call at 855-739-1910 or request a call back from this online form. Read our comprehensive Zip Hearing Aids review. Oticon is a leading hearing aid manufacturer that connects to mobile phones and the internet, giving you the power to stream audio from movies, music and TV shows directly into your hearing aid. Oticon recently made music history when the company transmitted a live performance of the legendary rocker group Styx’s show straight into Oticon hearing aid users’ devices, allowing them to fully experience the concert. Oticon’s latest hearing aid technology is dramatically different than traditional hearing aids from the past. Oticon products, with their entirely new way to process sound, makes them a leader in the hearing industry. Their latest hearing aid, the Opn lets you listen to multiple speakers and uses quick technology to remove noise around you while simultaneously giving you access to all speakers. Price: This advanced technology is going to cost you, depending on how many extras you want. Their models go from the high $1,000s to several thousand dollars each. Quality: Quality is high to accommodate the litany of extras these hearing aids offer. The hearing aids are generally reliable and can be customized to suit your needs. The company has earned an A+ rating from the Better Business Bureau. Support: Oticon has a large and detailed section of online resources for troubleshooting and maintenance, and a large network of Oticon-licensed hearing care professionals for offline support. Shopping can be simple if you start with going to Oticon’s website, where you provide your ZIP code to contact the closest Oticon-licensed hearing care professional. A hearing aid specialist will recommend a specific hearing aid model, which you can have fitted within a couple of weeks. This power player has been a mainstay in the industry since it was first started as an electronics company in 1948. Since then, it’s constantly evolved and has operations in thousands of locations across the globe. There are over 1,300 Miracle-Ear locations in the U.S. alone. Miracle ear is, in fact, a co-operative of Independent hearing aid providers with a country-wide network. That co-operative work together under the Miracle Ear name to provide a brand that is synonymous with good hearing care. It is the best of both worlds, small local Independent hearing care providers with a country-wide support network. Technology in Miracle Ear hearing aids is completely in-line with what is offered by the mainstream hearing aid brands. The company’s chief pledge is “commitment to excellence,” and the company ensures you’ll experience that commitment first-hand no matter which Miracle-Ear location you visit across the world. Their notable hearing aid recycling program demonstrates a commitment to increasing accessibility to hearing aids. Price: Miracle-Ear is cryptic and refuses to reveal any official costs on its website or over the phone. So how do you find out the final number? You need to make an in-person appearance and swing by your local Miracle-Ear office for a free hearing test. From there, an employee will share models that would work for you along with their prices. Quality: A 4.5 star rating according to ConsumerAffairs means the brand is overwhelmingly viewed by the public as reliable. One big way Miracle-Ear backs up its said “commitment to excellence” is with its generous 30-day hearing aid satisfaction guarantee, allowing you the opportunity to be comfortable and happy with your new purchase. The company has an A+ rating from the Better Business Bureau. Support: With 3,600 Miracle-Ear service centers and 1,750 affiliates worldwide, chances are you are a quick ride away to a Miracle-Ear center. From this point of view, Miracle-Ear is a good option if you want face-to-face interaction for support. Read our comprehensive Miracle-Ear review. Coscto offers five brands of hearing aids across many of its wholesale stores. Hearing aids offered through Costco are well priced thanks to its bulk buying power. Read our comprehensive Costco hearing aids review. Beltone is one of the most advanced hearing aid providers, with more than 1,500 locations across the country. Read our comprehensive Beltone hearing aids review to learn more about their services and technology. Readers of this hearing aid guide also found these related articles helpful. Don’t buy a hearing aid without making sure it has these key features. Hearing aid technology is ever-changing. Read about the latest innovations. While your doctor or audiologist can recommend certain products, choosing a hearing aid that feels comfortable while satisfying your prescription is important. Read about the different types of hearing aids. Most run-of-the-mill hearing loss is about clarity, not volume. That means most people with hearing loss can hear the voices, they just aren’t sure what they are saying. If you think you are experiencing hearing loss, you’ll need to see an audiologist or an otolaryngologist (ear, nose and throat doctor) for a full and proper diagnosis. What are the best hearing aids for glasses wearers? In-the-ear (ITE), in-the-canal (ITC) and completely-in-canal (CIC) hearing aids are typically for those with mild to moderate hearing loss and cause no problems for glasses wearers. If you suffer from severe hearing loss and require a behind-the-ear (BTE) hearing aid, many newer models are smaller and made with an “open fit” design to accommodate glasses. It is best practice to put your BTE hearing aid on after you put your glasses on. The research and development costs for manufacturing hearing aids can be high – especially for companies committed to product innovation. There are also many consumer safety regulations and insurance challenges impacting healthcare product companies and healthcare service providers. What’s the story with the Over-the-Counter Hearing Aid Act of 2017? President Donald Trump signed the Over-the-Counter Hearing Aid Act of 2017. The legislation means you’ll be able to buy hearing aids over-the-counter (OTC) – just like you were buying cold medicine. However, the U.S. Food and Drug Administration (FDA) has three years to devise new rules and regulations for OTC hearing aid manufacturers to abide by before these products are available for sale. A hearing aid price drop is expected around 2020, but if you need hearing aids now, don’t wait to buy. Your brain’s ability to interpret sounds and language will decline with extended hearing loss. Does Medicare cover hearing aids? What about Medicaid? CA, IL, IN, MN, MO, NH, NV, NY, OH, SD, TX and VT: Hearing aids are covered for “mild” or greater hearing loss. FL, MT, NJ, ND, OR and WY: The criteria is “moderate” or greater hearing loss. HI, IA, MA, NE, RI and WI: There are no official standards, hence these states defer to opinions from audiologists and physicians. AK, CT, KS and NM: Zero criteria set. Contact your state agency to find out if you’re eligible. And know this – most states’ Department of Health and Human Services office offer financial assistance programs to help cover the cost of hearing aids. Is a hearing aid the same thing as a hearing amplifier? No. Hearing aids are different from hearing amplifiers. What’s the difference? Hearing amplifiers are essentially a “one ear fits all” product. They “amplify” sounds and make them louder. 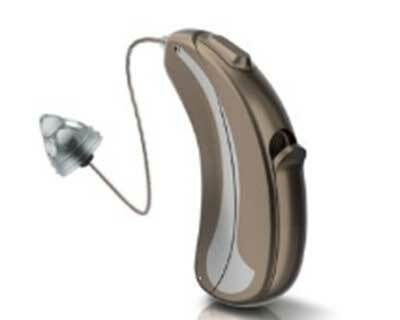 Hearing aids are programmed to make sounds louder but also differentiate noises based on your hearing loss severity. What’s the number one thing I should look for in a hearing aid? If you have been told you need hearing aids, you have options. No matter which hearing aid company you choose, keep in mind that you should carefully select the hearing aids you buy – because not all hearing aids are created equally. While some of the hearing aid companies we selected are adding cutting-edge new technology and others are more budget-friendly, we found these three share one invaluable characteristic…they’re high-quality. Right now I'm going to hold off on ordering the hearing aid. I'll get a hold of you when I can afford to get them. Thanks for the feedback, Kim. We hope you'll get some soon if you need them. Please don't wait too long - prolonged hearing loss without an intervention can permanently break down your body's ability to process sound. If money is all that's standing in your way, check out this resource we wrote about how to pay for hearing aids. I have Not had a good experience w/Miracle Ear, paid a lot of $ on 2 pair digital pair & 2nd pair was weeks waiting on parts, sent another pair, same issues, Clarity of words Not good. Of course, they pushed a new pair they talked like might improve same, tried in office one pair, did not. We are on fixed income so a new expensive pair isn't an option. I basically can hear sounds BUT the clarity of the words are my true issue. Any advice to help me hear speech better????? Sounds like it's time to get a second opinion. Our advice is to start by finding another audiologist and ask him/her to do a better job understanding your hearing loss and fine-tuning your hearing aids. If that doesn't work, ask for a referral to another specialist. For example, you may have some issues better addressed by a neurologist who can diagnose any potential problems with the way your brain interprets sound. What's the best hearing aid for someone who wears glasses? Hi Pat, Check out the second question in our FAQs section on this guide. It details the best types of hearing aids for glasses wearers. Excellent site. Very comprehensive information. Pretty much everything you need to know. I also feel like your site is unbiased and gives fair assessments of hearing aids. I learned a lot and was able to determine what is best for me.